KG-1 Human acute myelogenous leukemia cell line. Positive tissue: Positive membrane-specific reaction in adjacent peripheral nerve Staining of paraprostatic autonomic ganglion. 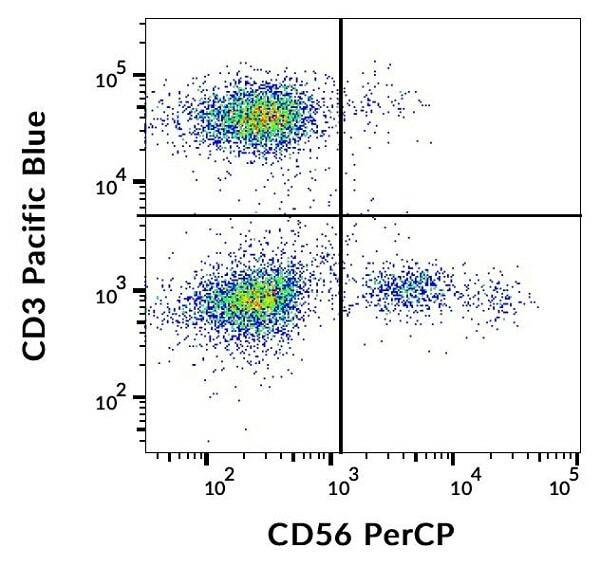 ab134333 is designed for Flow Cytometry analysis of Human blood cells using 10 µl reagent / 100 µl of whole blood or 106 cells in a suspension. Our Abpromise guarantee covers the use of ab134333 in the following tested applications. IHC-P 1/50. Perform heat mediated antigen retrieval via the microwave method before commencing with IHC staining protocol. Standard ABC technique (DAB+). ab134333 has not yet been referenced specifically in any publications. Publishing research using ab134333? Please let us know so that we can cite the reference in this datasheet. There are currently no Customer reviews or Questions for ab134333.